Shake and Bake is handy to have on hand to throw together a meal quickly. It’s really easy to make it yourself, all you need are a few ingredients I bet you already have in your pantry. Shake and Bake is such an all-time classic and for good reason. 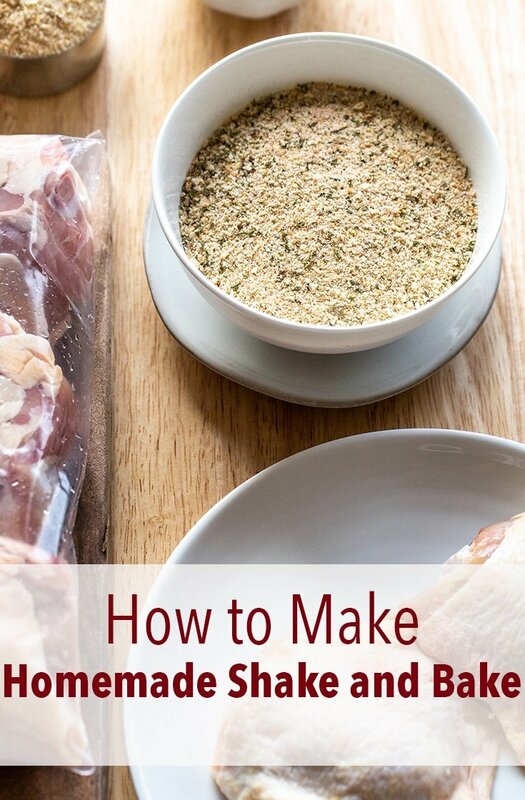 In minutes you can prepare crunchy, well-seasoned meat and all you need is a bag, your meat of choice, and some oil. Shake and Bake was introduced in the 1960s when everything came out of a can or box. Kitchen shortcuts were all the rage. But, in my opinion, it’s easier to whisk up homemade Shake and Bake because I almost always have the ingredients in my pantry and spice rack. Why go to the store for the pre-made stuff when I can do it myself? 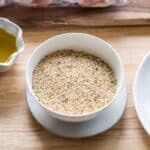 Really good Shake and Bake is simply a mixture of plain breadcrumbs, onion powder, garlic powder, a few herbs, salt, pepper and just a touch of sugar. Really basic, right? I bet you’re starting to wonder why you even bought the pre-made stuff in the first place. I like this recipe because it makes enough for one meal; it coats 1.5-2lbs. of meat really well. You can always double or triple the recipe if you need to, but I like this because I don’t have excess hanging around that I don’t need, and I can use the breadcrumbs in other recipes I like to make like this Mussels Parmesan dish or my Easy Broccoli Cheese Casserole. 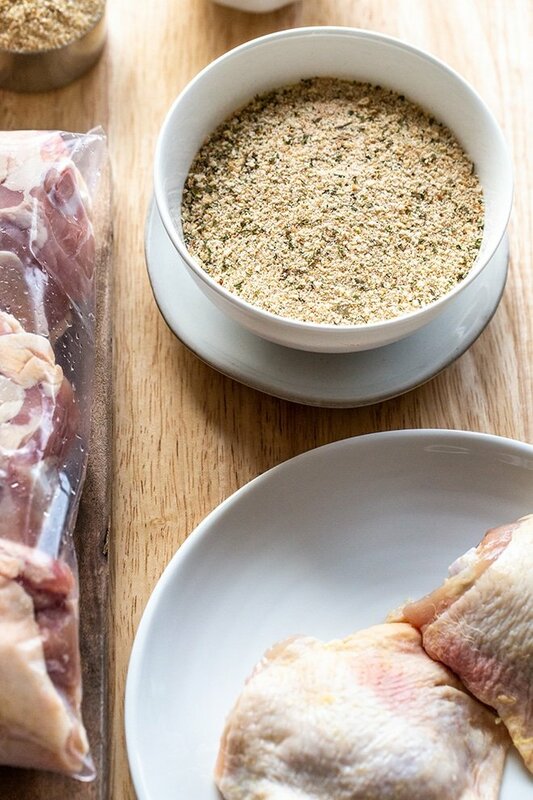 My favorite things to use Shake and Bake on are chicken thighs or legs and pork chops. It makes everything so crunchy, crispy and delicious. Mix all of the ingredients together well. Use right away, or store in an airtight container until you’re ready to use it.